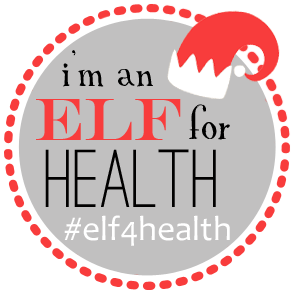 It will soon be time for “Elf for Health” 2013 Challenge to begin! I didn’t participate last year but am giving it a go this year! Basically, there is a challenge ever day from Nov 25th until Dec 22nd! You are assigned an Elf! This Elf is to help keep you on tract of the challenges and any goals you set. In return, you are an Elf for someone as well…keeping them on track and checking in on them. Sounds fun, right! This is what the Challenges look like…. Lindsay from the Lean Green Bean and Elle from Nutritionella. To learn more about the challenge OR sign up for the next round check out this post here starting on Dec 6th. 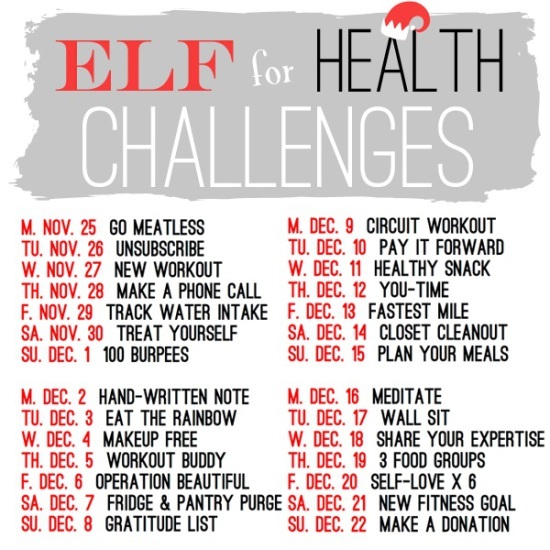 Anyone else participating in Elf for Health ? Since December is fast approaching, what goals are you trying to commit to ?